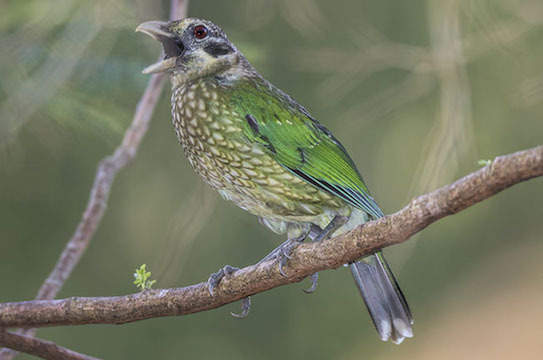 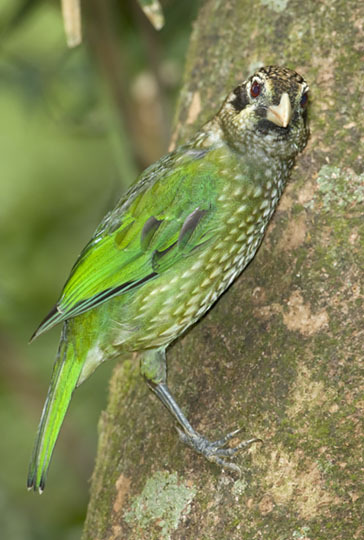 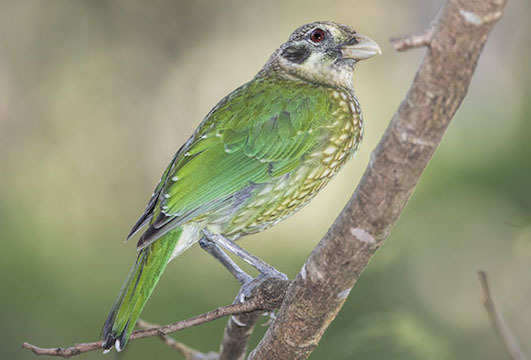 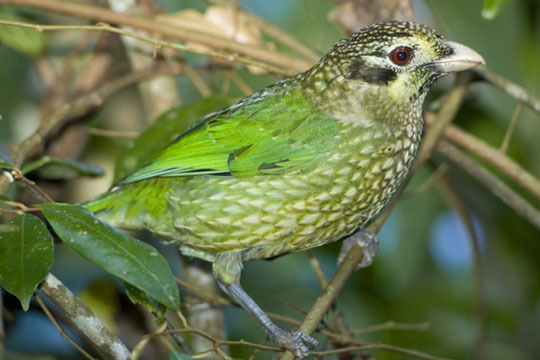 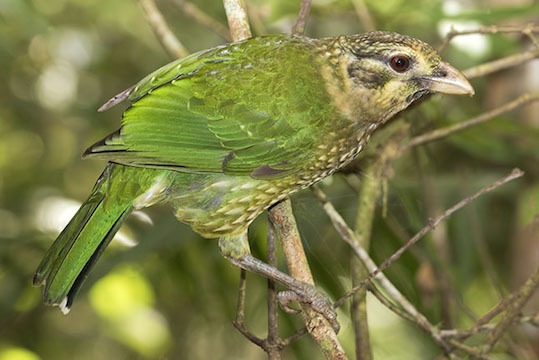 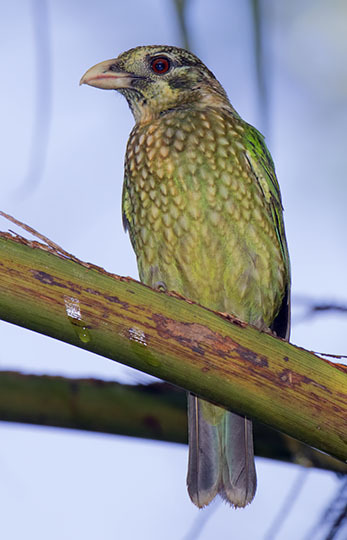 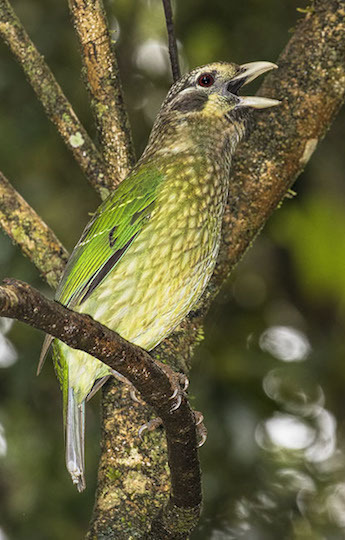 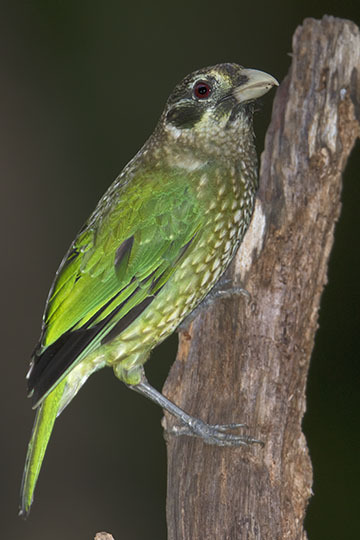 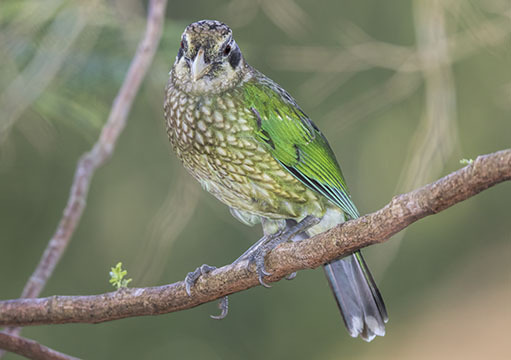 Spotted catbirds and green catbirds are fruit-eating bowerbird relatives from temperate and tropical rainforests in eastern Australia. 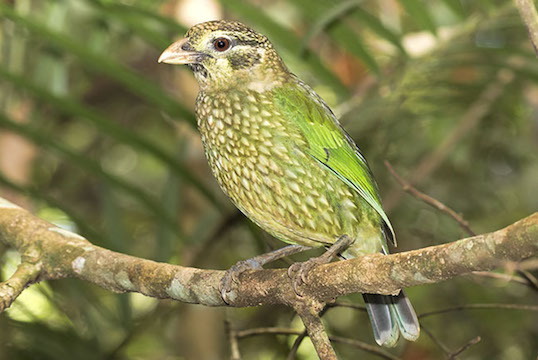 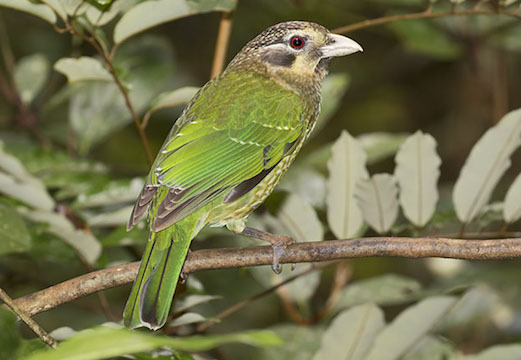 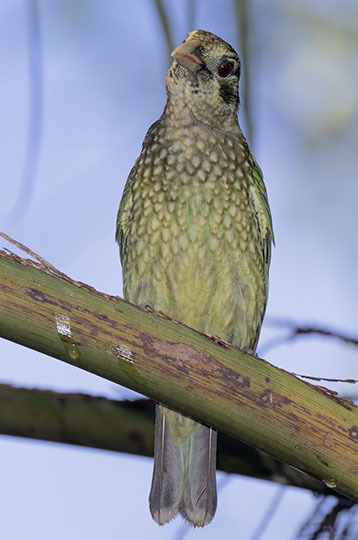 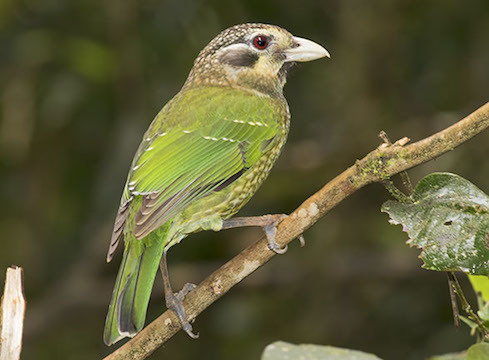 They are named for their strange catlike calls, which are obvious in north Queensland rainforests (spotted catbird) and wet temperate forests to the south (green catbird). 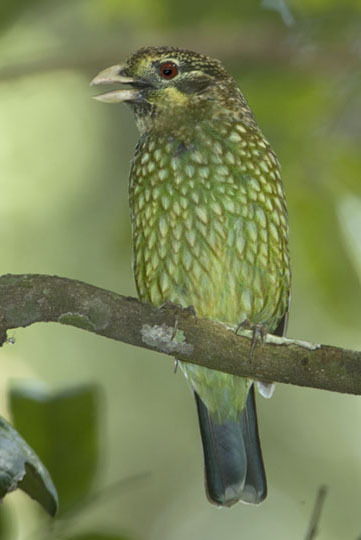 These were photographed in rainforest near Lake Eacham on the Atherton Tablelands in far north Queensland.